Mickey Vision - American Paper Optics manufactured these special glasses for Disney® that had custom lens HoloSpex™ with the outline of Mickey Mouse®. 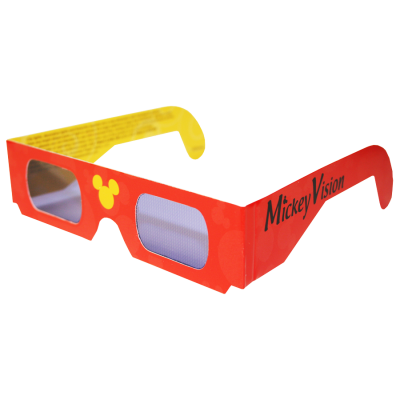 Packaged individually, these "Mickey Vision" 3D glasses were used to watch fireworks displays throughout the Disney® theme parks. 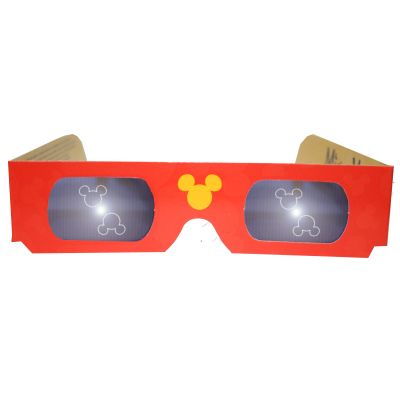 Mickey Vision - American Paper Optics manufactured these special glasses for Disney that had custom lens HoloSpex™ with the outline of Mickey Mouse®. Packaged individually, these "Mickey Vision" 3D glasses were used to watch fireworks displays throughout the Disney theme parks.